The original brief was to develop a direct marketing ‘piece’ to engage business owners and encourage them to buy business insurance. After meeting with the client and discussing the opportunity, the brief evolved into the design and build of a digital sales tool to educate and entertain prospective customers, in turn creating highly qualified sales opportunities. No-one had tried to sell insurance this way before. A brave brief and a brave client. And many compliance requirements to be met whilst staying true to the brief – to entertain, educate and sell (without all the usual insurance red tape). 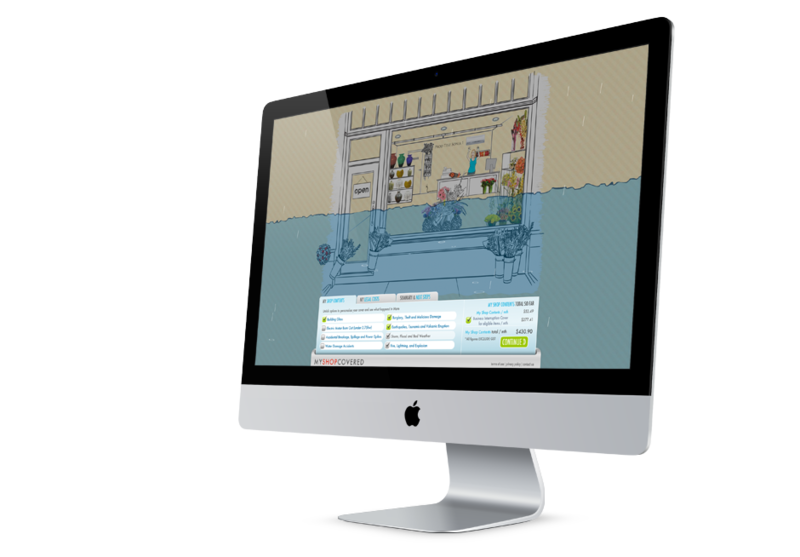 We developed an interactive sales tool – My Shop Covered – to help the client sell business insurance to NZ retailers. 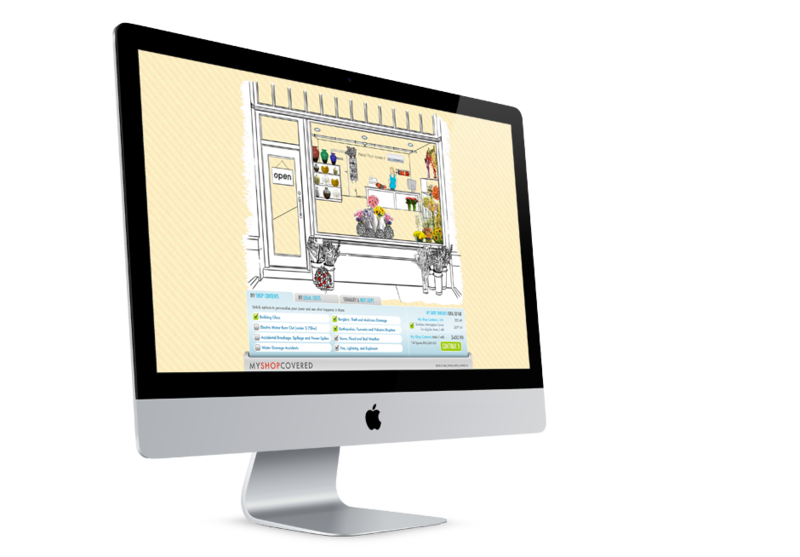 The tool allows brokers to invite a prospective customer into the digital world of My Shop Covered, where they can see their a shop similar to their own (solution includes 27 retail types, from florists to pharmacies, butchers and hair salons). The customer can then ‘play’ with different scenarios and see what can happen if they choose to remove certain types of cover from their policy. 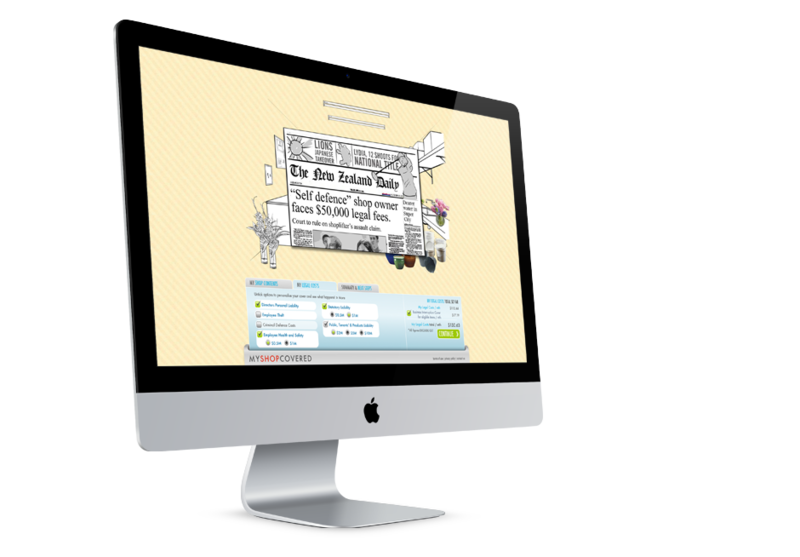 Behind the scenes, sophisticated data analysis allows the client to pre-qualify leads. Real time pricing is conducted via a custom built rating engine and leads and broker relationships are managed via a comprehensive lead management system. All this built and managed centrally on one platform. This solution has now been adopted by several insurance partners and broker agencies and has been directly attributed to a significant increase in business insurance sales for these partners. A key result has been the value of sales – after using My Shop Covered, customers are less likely to remove elements of cover and are more likely to include Business Interruption insurance in their policy – cover that previously was very difficult to sell. The client has complete visibility of activity on the platform and has the opportunity to work more closely with brokers and provide sales support.